My image of the 2007 Phoenix Mars Lander was issued on a stamp by Madagascar on April 12, 2011. The set honored the 50th anniversary of Sputnik and the International Polar Year (2007-2008). 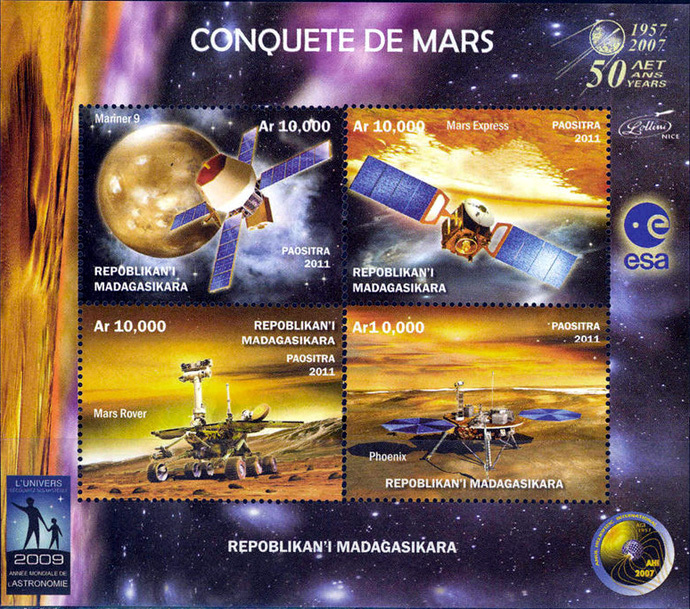 Madagascar's Phoenix Mars Lander stamp is in the lower right corner.